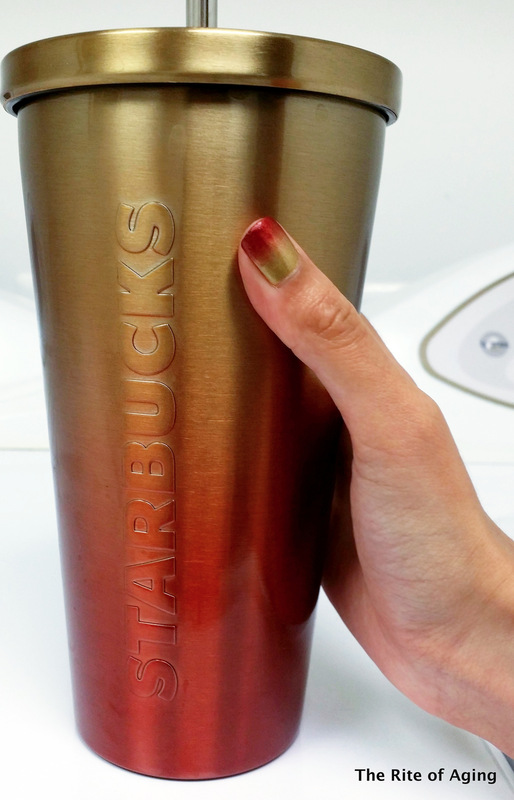 Gradient Nail Art Inspired by My New Tumbler! 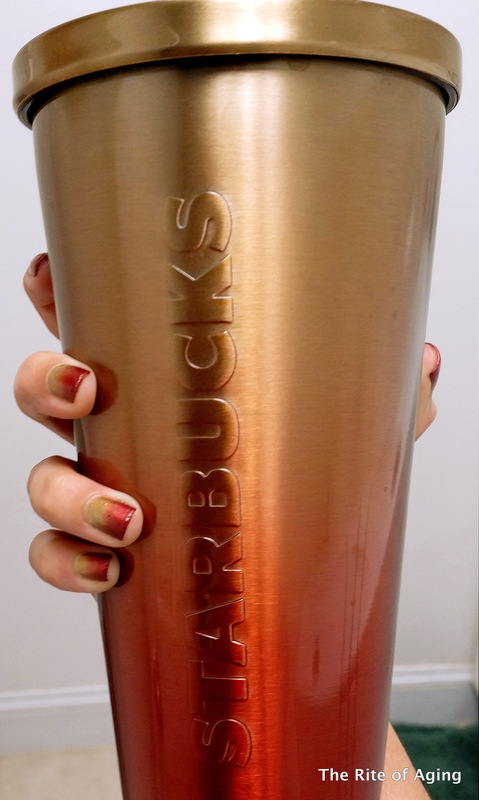 The new Starbucks Duochrome tumbler has made quite a bit of noise across social media over the last few weeks because apparently, it is relatively difficult to find in stores. In these types of situations, I cannot help but try to find the item, whatever it may be, so I scurried (yes, scurried) to my nearest Starbucks. There were quite a few in stock but I was instantly drawn to the Sunset Gradient one instead. Which one do you prefer? Do you like either of them?? Are these cups worth all the hype? Oddly enough, I liked this tumbler over the Duochrome one. I generally go for blues and purples but something about this particular cup screamed “me”. I purchased it without hesitation! 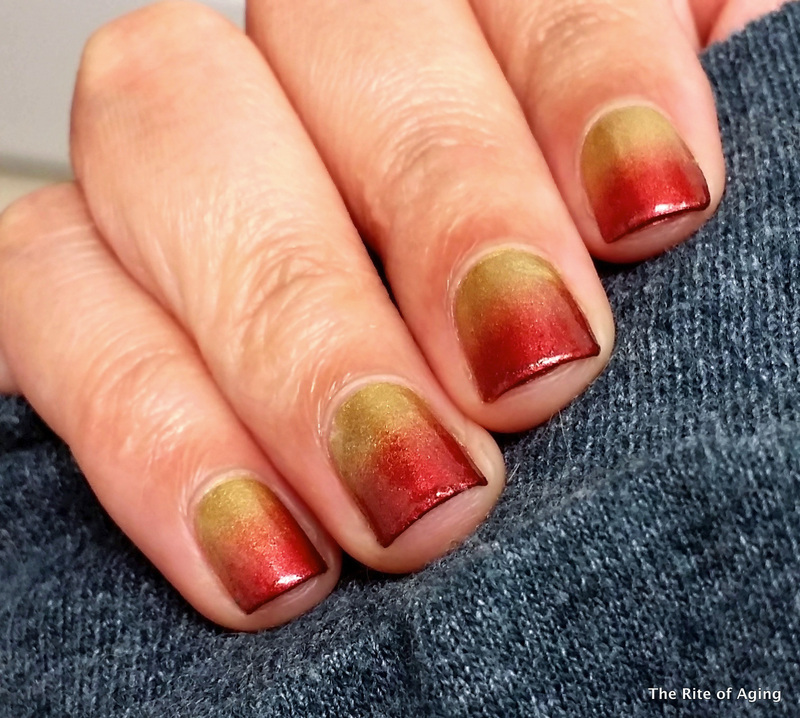 And, with my love of gradients how could I not re-create the look on my fingertips after I realized I had the right polishes! I started with quick coat of Milani Spotlight White to highlight the metallics on top. On a makeup sponge, at the top, I applied a combination of Zoya Goldie and Severine with Milani Foxy Lady at the tips. The tumbler’s golden top is really really frosty and neither Goldie or Severine on their own quite represented the color accurately. I have a thing for travel mugs and water bottles~! Same!! When I started “collecting” I landed on mugs and tumblers because I could actually use them! When I was really little, I brought home sand or dirt from the different countries I visited which was completely impractical, in retrospect! I love this gradient and the colours! I wished we had Starbucks and those tumblers, too! Thank you, Simona!! I think they sell them on the Starbucks website but I don’t know what their shipping policy is? 😀 Thank you, Cat! Oh gosh, I rarely use this except when I drive somewhere…I use it mostly to get the 10 cents off coffee at Starbucks 😛 But, I’ll fill it with iced tea to enjoy in the car!